Puerto Princesa City [06.21.16] – The wait is over and the overdue pledge of economic prosperity to the people in the “Land of Promise” including Palawan is now fulfilled. 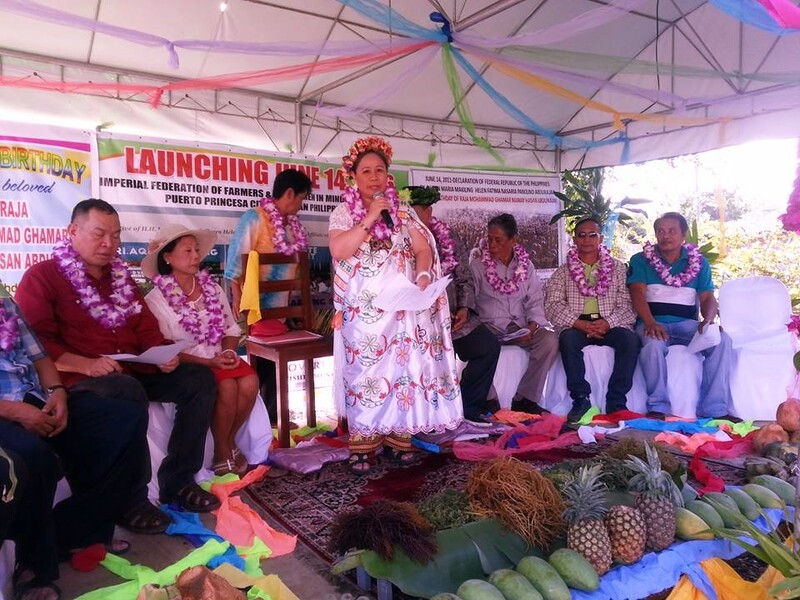 Queen Maria Makiling Helen Fatima Nasaria Panolino Abdurajak explains the vision of the program during the launching in Puerto Princesa City. Photo by Imperial Federation of Farmers and Fishermen of Mindanao and Palawan Incorporated. 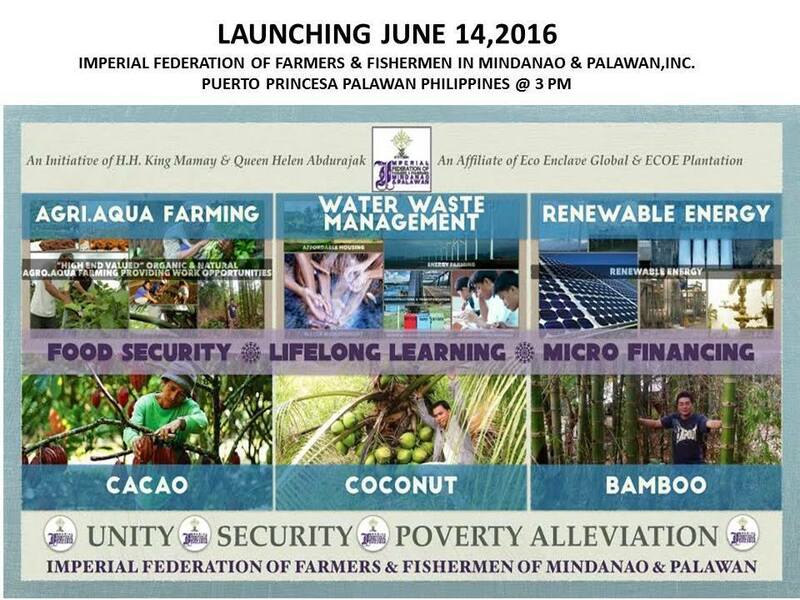 The blueprint of livelihood that will spur economic development for the impoverished farmers and marginal fisherfolks across Mindanao and Palawan was successfully drawn in Puerto Princesa City on June 14, 2016 at 3:00 o clock in the afternoon. This is the long awaited livelihood project for the farmers and fishermen of Mindanao and Palawan since 2012 but systematically stymied by skepticisms, with robust links with the European countries and other foreign partners of the Royal Imperial Lupah Sūg Islamic United Kingdom of Sulu and North Borneo, Queen Maria Makiling Helen Fatima Nasaria Panolino Abdurajak explained. “And now I would like to announce that this project is intended for the entire Mindanao and Palawan and I am enjoining all of you to join the Imperial Federation of Farmers and Fishermen of Mindanao and Palawan Incorporated, the Queen said. 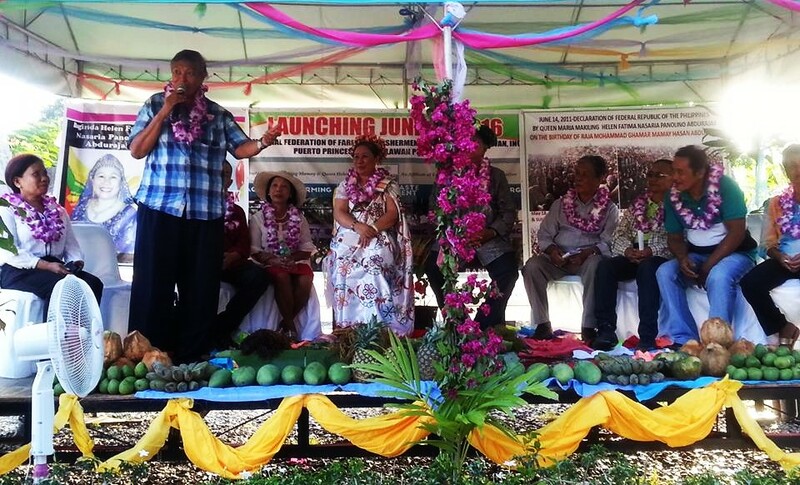 The launching was attended by farmers and business group from Mindanao and Palawan. The poverty alleviation, food security including renewable energy projects was centralized on agriculture cooperatives, and probably the country’s largest agri-aquaculture federation organized this year by the Royal Imperial Lupah Sūg Islamic United Kingdom of Sulu and North Borneo. The Imperial Federation of Farmers and Fishermen of Mindanao and Palawan Incorporated [IFFFMPI] with 12,000 member from the twenty  existing cooperatives was officially launched on the ocassion of Raja [King] Mohammad Ghamar Mamay Hasan Abdurajak’s birthday. The IFFFMPI was incorporated at the Securities and Exchange Commission as a non-stock, non-profit federation. A flagship economic project by the Royal Imperial Lupah Sūg Islamic United Kingdom of Sulu and North Borneo bringing peace, unity and prosperity to the farmers and fishermen of Mindanao and Palawan. In its first phase, IFFFMPI will be focusing on cultivating and producing the entire value chain of Cacao, Coconut, Bamboo and Halal Livestock, as well as other aqua produce under the management of the Royal Business Group.